Speaking of exfoliation….we were talking about it a few posts up and since the Muse has a one track mind, might as well stick to the topic she was on earlier….what was I saying? 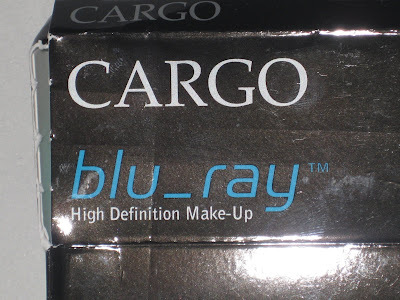 Speaking of exfoliation Cargo Blu_Ray Polishing Clothes kinda butter my toast lately! Jump ahead for a review, a babble, and some pictures! 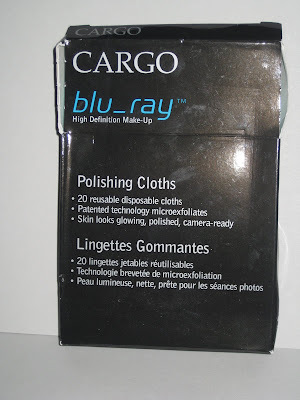 Cargo Blu_Ray Polishing Clothes are a box of 20 facial exfoliating clothes that are meant to shrub away dead skin and polish your face up to a baby smooth finish. They do promise the world in a small box like removing makeup, preventing blackheads and ache, and reducing the signs of sun damage and honestly I can’t really say they do ALL that but they do actually make my skin buttery soft but first I had to learn how to use them. First try they do nothing. I really seen no results at all but than….slowly…I noticed my skin becoming smooth, softer, and my moisturizer was sinking in hells quicker. If you’re as impatient as I am and want to see results double quick you’ll be disappointed as these definately do not give results right away. 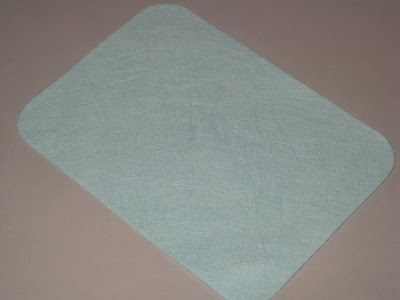 With patience and proper use you’ll notice a certain smoothness to your skin in about two weeks of use. I’m lucky I didn’t give up right away on them otherwise I’d have not noticed how properly soft my skin was after I used them well over a month. 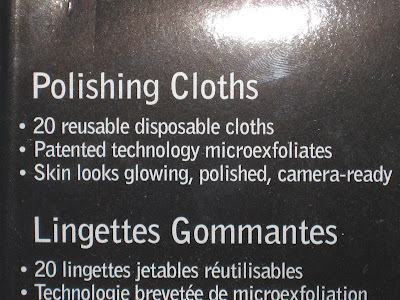 The clothes are reusable so you can get plenty of use from one package although it is slightly gross to reuse considering bacteria and the likes. I got about 4 uses total from one cloth before I was feeling the need to ditch them. The best results I noticed were when I used these on a already clean, damp skin with a drop of Philosophy Microdelivery squeezed on the cloth. I was quite frustrated not seeing results right away and I was on the verge of simply tossing the box but I was stubborn and kept at it and now I’m done with my first box and ready for a new one as I’m loving the results. One of my main problems with exfoliating products is the fact that they make my dry skin even more dry and tight. If I choose I can use these on clean, damp skin minus product so it’s a natural way to remove my dry, flaky skin without adding product to an already dry face that will in turn make it feel even worst. All in all I think they are a fine deal and worth trying out. 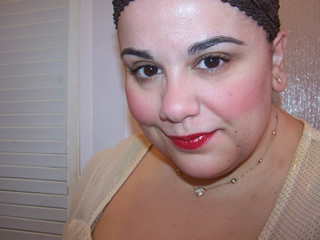 I liked the results and noticed a grave improvement when applying foundation and moisturizer!